Gearing up for their return, GOT7 brings in the help of American multi-platinum singers and songwriters, Jackie Boyz, to co-produce their comeback track. 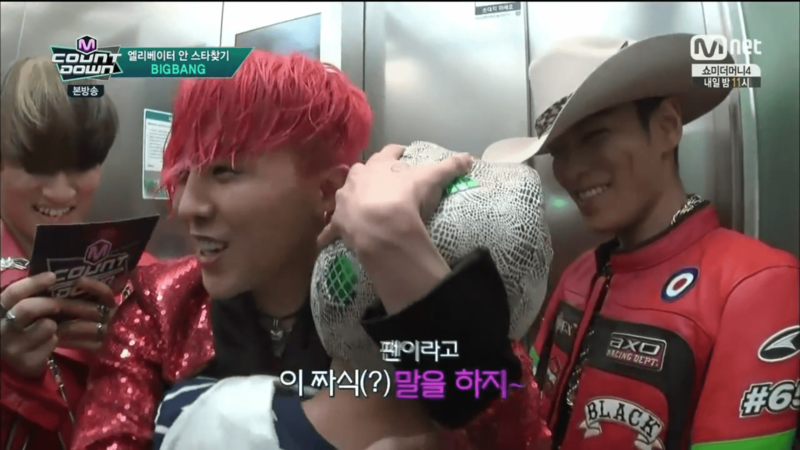 On a recent episode of Mnet’s “M!Countdown,” GOT7′s BamBam shows how much of a fanboy he is for BIGBANG’s G-Dragon. 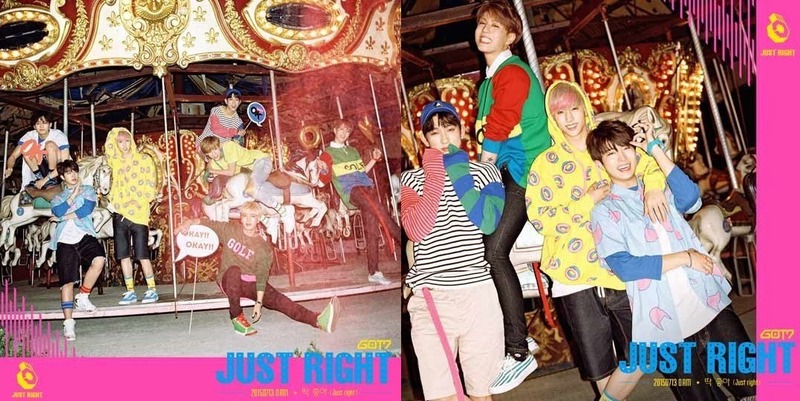 [ARTICLE|STARCAST] GOT7 teaser images of ‘Just right’, refreshing GOT7 Ade! 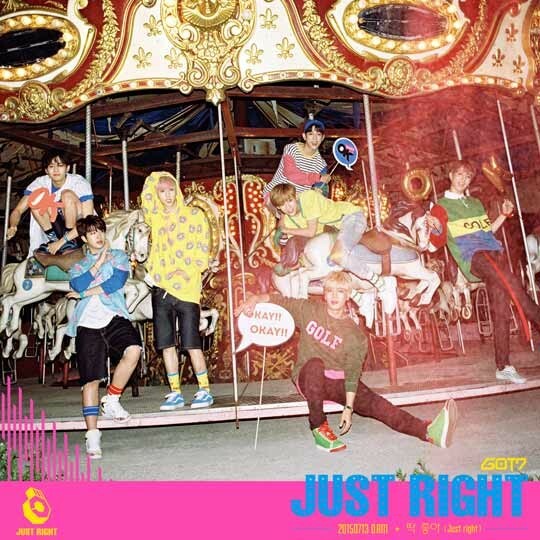 GOT7’s new teaser image of ‘Just right’ is on! For their second batch of image teasers,GOT7 shows off their playful nature in a series of group shots as they play at the carnival. 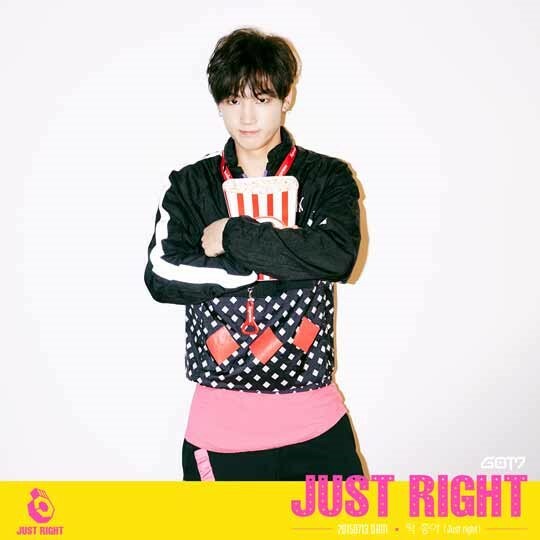 The next teaser for GOT7‘s summer comeback with ‘Just Right‘ shows each member taking up a small square of their scrapbook to show his individual charm. Known to be a big BIGBANG and G-Dragon fanboy, GOT7’s BamBam got the ultimate fan service from G-Dragon himself on the latest episode of Mnet M! Countdown! JYP Entertainment has revealed the third set of image teasers for their boy group GOT7! Similar to the previous two sets of teasers, the photos are vibrantly showcased on a scrapbook and each member gets his own feature. 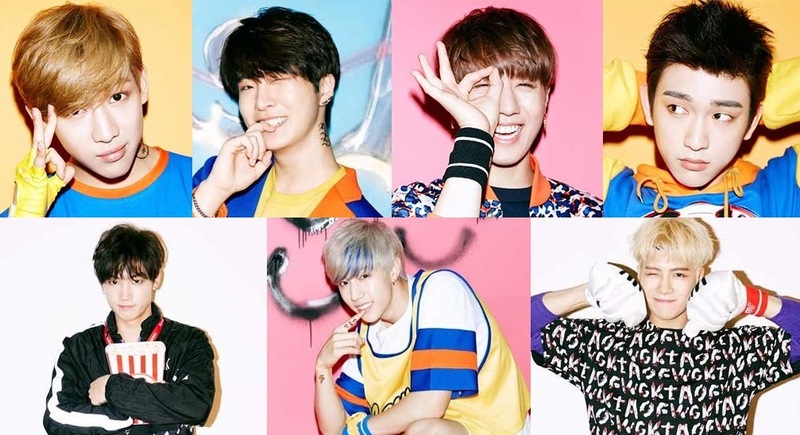 Fitting the summer theme, GOT7 is dressed in colorful outfits, each member showing off his own unique colors. Have you enjoyed watching the members’ individual teaser images of the refreshing Idol group GOT7’s ‘Just Right’ yesterday? Today the seven boys have met! We are revealing the one teaser image of GOT7 members’ full-group shot and the 3 images of the two divided teams of 3 and 4!